Maker Studio inspires imagination and a love for engineering. In this set featuring propellers, you’ll be able to build a chopper, a biplane, a windmill and a plane. For each build you’re given Engineering Challenges – experiment with friction, torque and propulsion as you engineer your solutions. 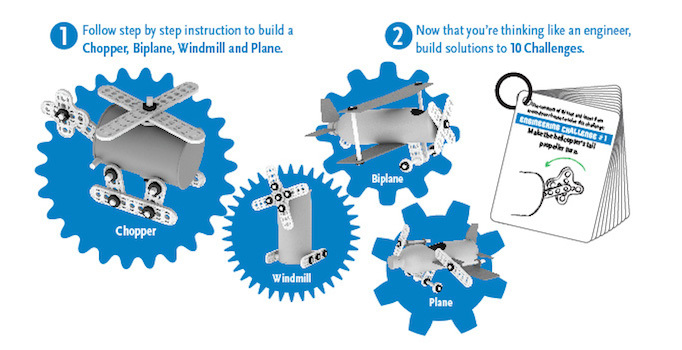 Once you’ve mastered all four builds, get creative and design something that’s all your own while you learn engineering principles!